Sharjah Cricket Association Stadium is situated in Sharjah, United Arab Emirates. The Stadium was established in 1984. The rapidity with which the stadium acquired popularity and subsequently-one-day matches has astounded many. In a short span of 19 years i.e. till 2003, Sharjah Cricket Association Ground had hosted as many as 198 ODIs. The limited over matches in Sharjah Cricket Association Ground were always a part of a tournament involving not less than three teams. Sharjah Cricket Association Ground is one of those rare grounds where a test match has been hosted without the participation of the home team. 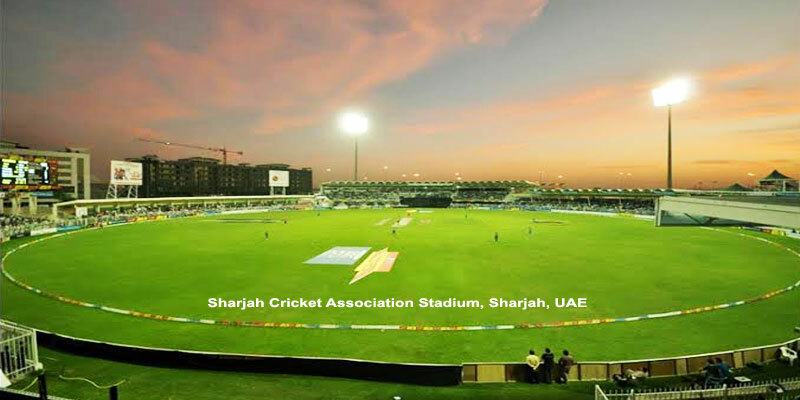 Sharjah Cricket Association Ground has a seating capacity of 27,000. Of late, hardly and any cricket of consequence has been played in this ground; the newly opened Sheikh Zayed Stadium in Abu Dhabi has appropriated the popularity that Sharjah Cricket Association Ground used to enjoy. It holds a world record of being the first stadium to have hosted 200 ODIs after the match between Pakistan and Sri Lanka in November 2011.